Europe app for Apple TV! 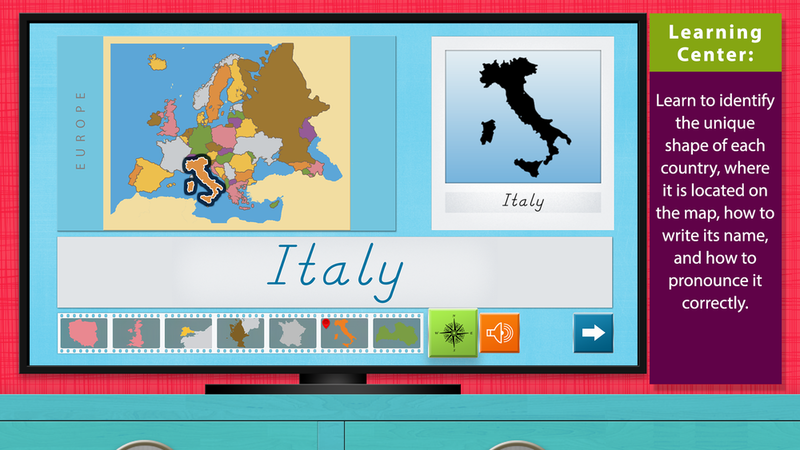 Learn the names and locations of all the countries in Europe with Apple TV! Touch a country in the filmstrip to change the featured country on the page. Touch the speaker button to hear the correct pronunciation of the country name and touch the compass button to see the country highlighted on the map! 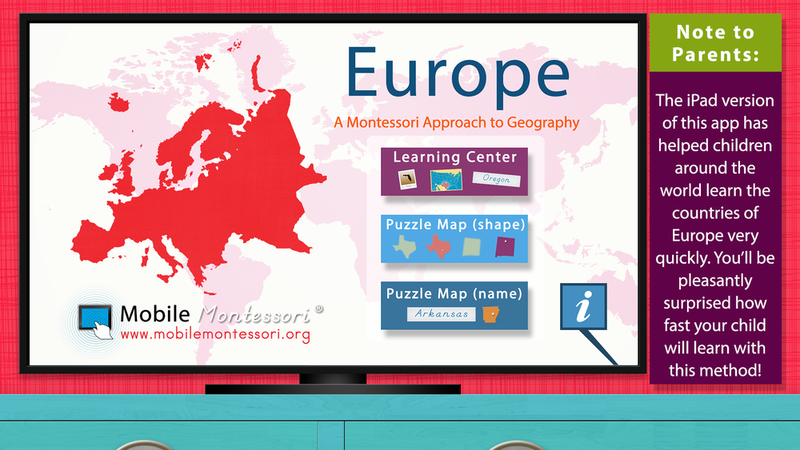 In the second puzzle map lesson children have to look for the country puzzle piece that corresponds to the name shown at the top. For children who cannot read, a speaker button at the top can be touched to hear the name aloud for them to know which one to look for. The Hundred Board for both iPad & iPhone!